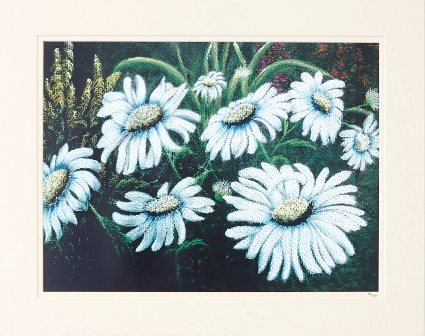 A signed, limited edition digital print (100 in total) taken from original artwork in pastel. 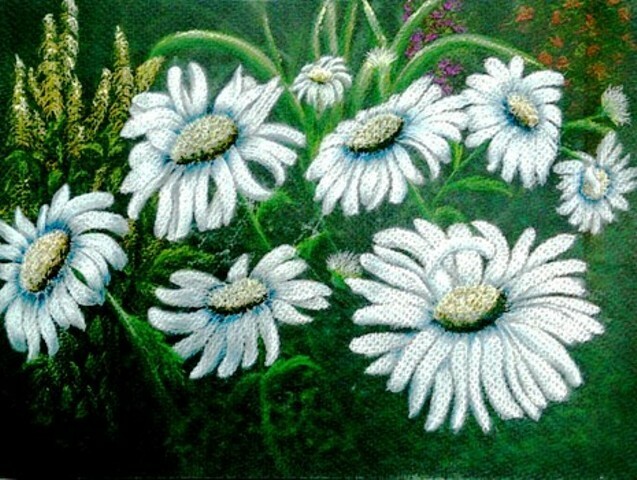 Showing the beautiful flowers in my garden last summer, as I sat out and enjoyed my art. The flowers heads, bright white in the glorious sunshine and summer heat. Happy days.